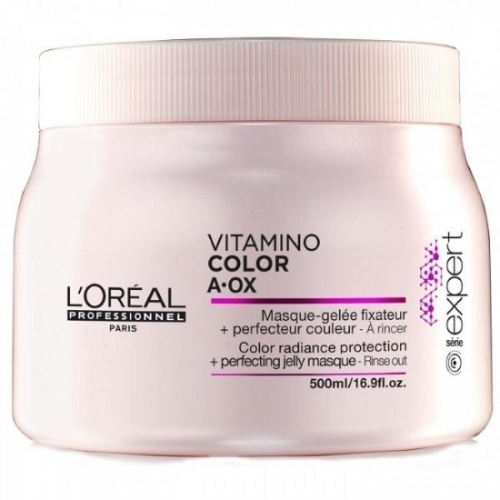 LOREAL VITAMINO COLOR AOX MASK 500ML – HAIRDEPOT - Hair & Scalp Care Products, Prevent Hair Loss, Shampoo, Conditioner, Treatment, Styling, Appliances and more! An intense treatment for color-treated hair. Provides rich nourishment to repair & strengthen damaged areas. Boosts shine & protects color vibrancy. Gives a sheer film to coat the hair against daily wear. Leaves hair supple radiant & healthy. To use: Apply to shampooed & towel-dried hair. Leave on for 1 minute then rinse off.